The 2018 Redspot Survey identified the 10 most congested roads using data that recorded traffic and speeds across the State. Victorians were then invited to vote on these locations or report their own. Over 18,000 votes and nominations were collected over the five-week survey period. The 2018 RACV Redspots are symptoms of the unprecedented growth that Melbourne is experiencing. They reflect pain points on our road network caused by rapidly growing suburbs, our inner city employment boom, and historical gaps in road and public transport networks. 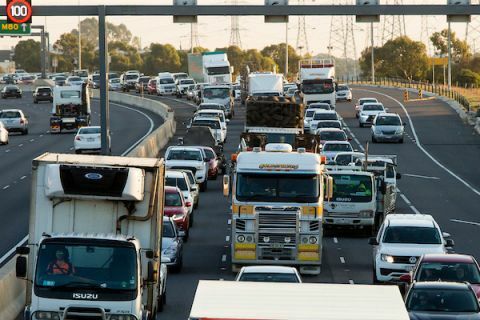 RACV wants Melbourne to be a world-class connected city. To achieve this we need to have an integrated transport system across our freeways, highways, railways and tram lines. Network gaps in our outer suburbs must also be addressed for our city to function. With average peak hour speeds as low as 20 km/h this has been rated as the Number 1 Redspot by Victorians. Traffic travelling on Thompsons Road comes to a standstill at the roundabout, with queues banking back for kilometres. This location along the corridor of the missing north east freeway link in the Metropolitan Ring Road has long been rated as a Redspot. In peak hour, traffic crawls at an average speed of 18km/h, well below the posted limit. Carrying well over 100,000 vehicles per day, the Western Ring Road is one of Melbourne's busiest routes. This is one of the few eastern suburbs crossings over the Yarra River and creates a frustrating pinch point where it narrows from four lanes to two. This Redspot is located along the busy Malvern Road shopping strip where it intersects with Williams Road. The single lane roundabout at High Street and O’Herns Road has long struggled to cope with increasing traffic in Melbourne's growing north. This location through the vibrant and popular Ivanhoe shopping strip is a known bottleneck. Footscray’s premier shopping street is carrying too many cars. RACV wants Melbourne to be a world-class connected city. To achieve this we need to have an integrated transport system across our freeways, highways, railways and tram lines. 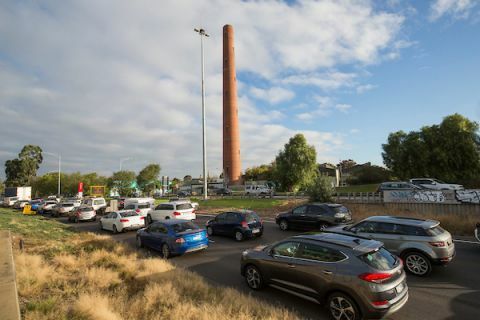 In the same corridor, the road link comprising Racecourse Road, Elliott Avenue and Macarthur Road from CityLink to Royal Parade, Parkville, was also nominated in the survey. Commitments from the major political parties to investigate improving this east-west travel corridor through Melbourne's inner north. Solutions must be found to have a sound business-case before a commitment to construction. Traffic travelling on Thompsons Road comes to a standstill at the roundabout, with queues banking back for kilometres. Works are currently underway as part of a $207 million upgrade. The roundabout will be replaced with traffic lights, which is intended to reduce congestion and improve travel times. While these works will be welcomed by the drivers of the 26,000 vehicles that use Thompsons Road every day, an interchange will probably be needed as well as further development of east-west road links across the Casey growth area. 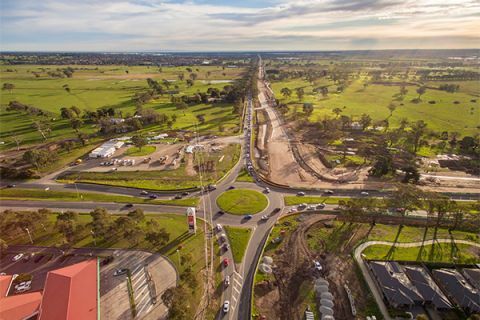 Planning for an interchange and further funding to improve east-west connections in the Cranbourne West region of the City of Casey. For specific projects that would support and ease pressure on Thompsons Road, refer to RACV’s blueprint to ease congestion in outer Melbourne at www.racv.com.au/growingpains. This location along the corridor of the missing north east freeway link in the Metropolitan Ring Road has long been rated as a Redspot. Our congestion data confirms that it continues to cause delays as cars and trucks filter through suburbs such as Bulleen, Heidelberg and Rosanna each day to make their way between the end of the Metropolitan Ring Road in Greensborough and the Eastern Freeway. The State budget in 2018/19 allocated $3.1 million to reduce congestion and improve safety, which will only make a small dent in the problem before the North East Link project is completed. Complete the North East Link between the Metropolitan Ring Road at Greensborough and the Eastern Freeway. Works to address safety and congestion along Rosanna Road in the interim, because this narrow arterial road will continue to be a major truck and commuter route until the North East Link opens. Kings Way is one of Melbourne's long-term inner-city traffic routes. Each day it is used by around 100,000 cars and trucks. It connects the bayside and south-eastern suburbs via Dandenong Road and St Kilda Road to the Melbourne CBD and the West Gate Freeway (M1). In peak hour, traffic crawls through this section of road at an average of 18km/h, well below the posted speed limit. In the longer term, Metro Tunnel will likely lead to a reconfiguration of the tram network in inner Melbourne, with more trams along Kings Way and the parallel Clarendon/Spencer Street route. Congestion between Sunshine Avenue and the Western Highway arises from the adjacent narrow section of freeway between Sunshine Avenue and Keilor Park Drive, including the EJ Whitten Bridge over the Maribyrnong River. Work to widen this section of freeway is currently underway, and is due for completion in late 2018. Further widening works will occur between the Princes Highway and Western Highway in future years. Relief should come with the progressive opening of the widened sections of freeway. Completion of the upgrades of the M80 Western Ring Road. Congestion in this area is likely to be alleviated by the construction of the North-East Link, which will provide an alternative route from the Eastern Freeway to the north. Completion of the North East Link. The single lane roundabout at High Street and O’Herns Road has long struggled to cope with increasing traffic in Melbourne's growing north. 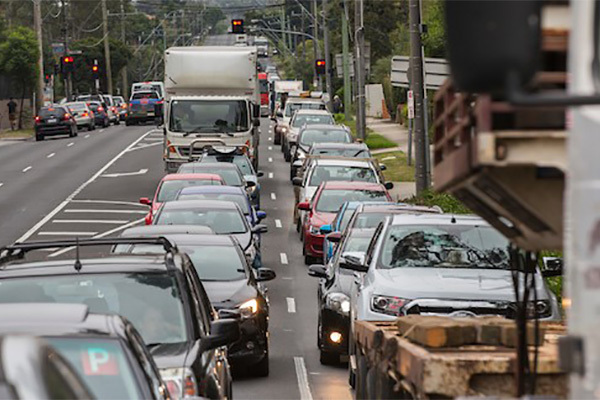 The good news is that an $81 million upgrade has started (services are currently being relocated), but for now it ranks as one of Melbourne's most congested spots. Stage 1 of the upgrade includes replacing the roundabout with traffic lights, adding slip lanes and right turn lanes and providing on-road bike lanes. Stage 2 will see O’Herns Road duplicated between the Hume Freeway and Redding Rise (west of this roundabout) and access provided to the Hume Freeway. Also in planning is the addition of extra traffic lanes along Epping Road. High Street and Epping Road form the only north-south arterial road corridor for the fast growing suburbs at Epping North and north to Wollert. A once-promised railway/transit corridor never eventuated. The Redspot Survey shows that despite the big investment in rail to Mernda, even more needs to be done across the northern growth region to create more travel options. Funding allocated for continued improvements to transport connections in Melbourne’s north. 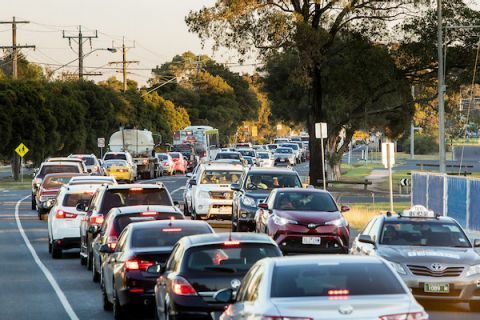 For specific projects that would support and ease pressure on High Street/Epping Road, refer to RACV’s blueprint to ease congestion in outer Melbourne at www.racv.com.au/growingpains. This Redspot is located along the busy Malvern Road shopping strip where it intersects with Williams Road. 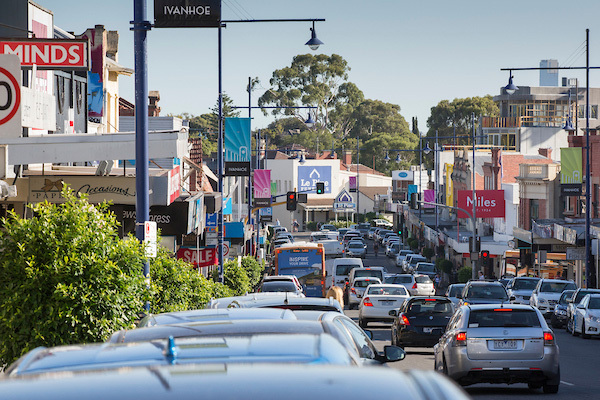 Like many traditional shopping strips that developed along arterial roads in inner Melbourne, Malvern Road struggles with high levels of traffic competing with parking, pedestrians, public transport and bike riders for limited road space. 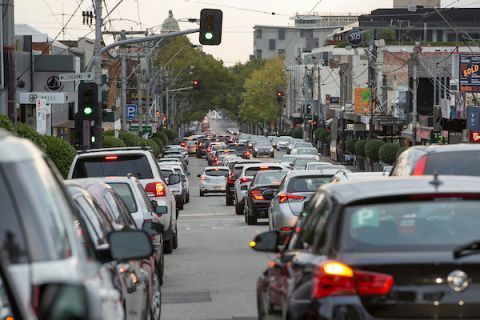 This is an arterial road managed by VicRoads but on-road parking is controlled by the City of Stonnington. VicRoads and local Councils to ensure that arterial road shopping strips balance the needs of residents and shoppers, including parking demands and loading needs, with the needs of commuters moving through the strip in cars, public transport and bikes. This location through the vibrant and popular Ivanhoe shopping strip is a known bottleneck where local traffic wrestles for space with cars, trucks and buses commuting to/from Melbourne's north-eastern suburbs. 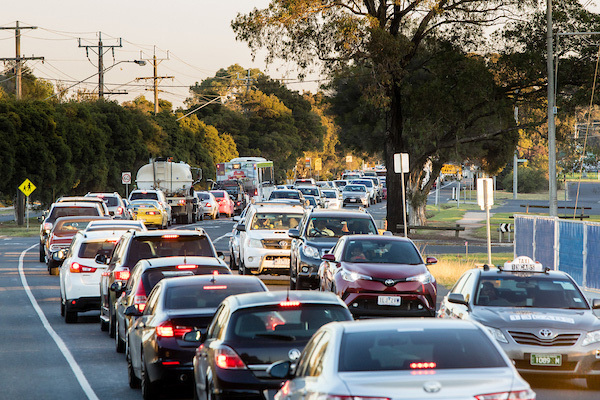 It is an arterial road managed by VicRoads but on-road parking is controlled by the City of Banyule. Barkly Street is a local street managed by the City of Maribyrnong, which seeks to encourage walking, cycling and public transport over motorised vehicles through the shopping strip. 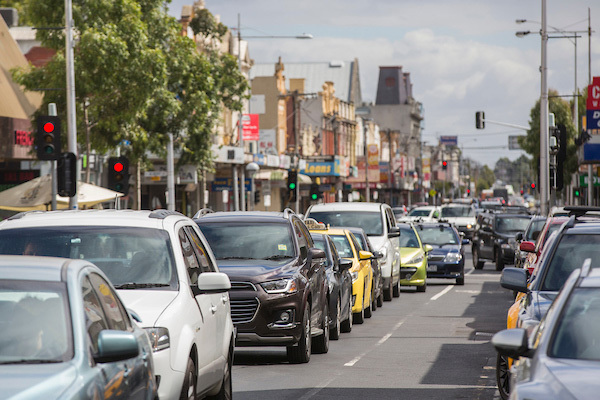 The State Government and VicRoads to improve the operation of the arterial roads around the Footscray shopping precinct. 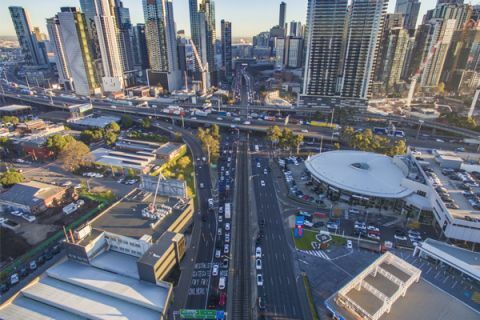 RACV wants Melbourne to be a world-class connected city. To achieve this, Melbourne’s transport system must work as a network of modes. Our major transport spines - our freeways, highways, railway and tram lines - must become better integrated. Busways and cycleways are needed. Network gaps in our outer suburbs must be filled and in our neighbourhood areas, streets through activity centres must be designed for people and slow movement. Works to address safety and congestion along Rosanna Road in the interim, because this narrow arterial road corridor will continue to be a major truck and commuter route until the North East Link opens. The State Government to commit to additional improvements along Kings Way, Canterbury Road and other parallel roads to better manage increased traffic during Metro Tunnel construction. Options that have been put forward include better camera surveillance, turn bans, lane management along Queens Road and investigating what can be done to reduce delays at the intersection of King Street and Flinders Street. Transport for Victoria to investigate changes to the tram network at completion of the Melbourne Metro project to provide more frequent public transport options for access to the western end of the Melbourne CBD, for people living and working in South Melbourne, and connecting to Melbourne Metro at Anzac Station. We also asked those that completed the Redspot Survey to nominate their own congested location. We have analysed this data, and the results will be reported in local Leader Community News. 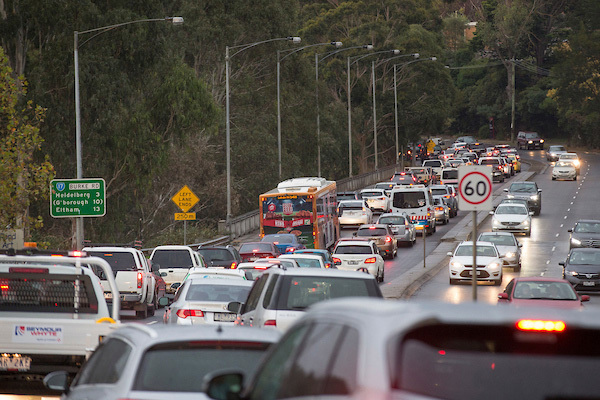 Find out how RACV identified the most congested spots across Victoria. Find out the results from past Redspot Surveys. Visit RACV’s website to find out more about what we are doing to improve transport for our members. Visit Leader Community News website to find out more about Redspots and other news from your local area. Visit 7 News' Facebook page to find out more about what’s making news today.